A notice popped up on the Microsoft store today and was later confirmed by Blizzard. Overwatch’s next free week has been scheduled for Nov. 20 to Nov. 26, Blizzard announced today. “For this free trial, we’re making the ultimate team-based shooter’s entire content available including the full roster of 29 heroes—including the newly released gunslinger Ashe—and 19 maps available for play in a variety of modes, such as Quick Play, Custom Games, and the Arcade,” Blizzard announced in a blog post. “Players will also be able to level up, earn Loot Boxes, and unlock different customization options for their heroes. For the first time, Blizzard is offering limited time loot for players that watch Overwatch Twitch streams during the free week. Three Ashe skins are available for watching Twitch streams. Players just need to have a link between their Twitch and Blizzard Battle.net accounts. On Xbox One, players are required to have an Xbox Live Gold subscription to play. A PS Plus account isn’t necessary to play during free weeks, but is needed for players that purchase the game. PC players just need an internet connection and a free Blizzard account. As always, any progress made during a free week will transfer over for players that choose to buy the game. Achievements aren’t awarded, however. 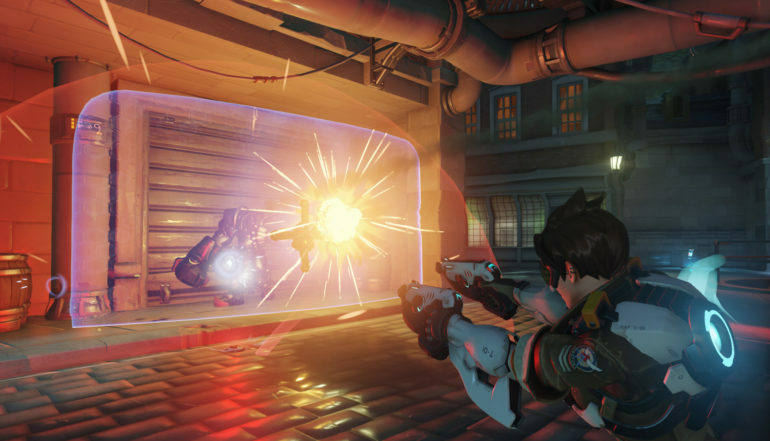 It’s a good time to start up Overwatch, too. Blizzard just added a new hero, Ashe. She’s a DPS hero and the leader of the Overwatch world’s Deadlock Gang. She adds a lot to the new game, including a very cool ultimate ability: B.O.B., a huge omnic she’s able to send into battle. Ashe was added to Overwatch’s live server on Nov. 13.